Barry grew up in Penn Street, where his father, John Henry Wilkins, was an upholsterer. In 1952, at the age of 15, he was ready to leave Holmer Green School. A neighbour, who was architect at Chesham & Brackley Brewery, told him that there was a cooper’s apprenticeship available there. The family had connections to Chesham and Barry decided to apply. He was taken on for a three-month trial at £1 per week and travelled to Chesham daily on his bicycle. He took sandwiches for lunch as there was no canteen at the Brewery. 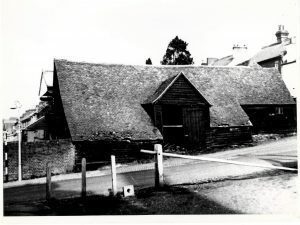 The coopering premises were opposite the Brewery on White Hill, behind Priest’s Garage, in a small old shed, originally with an open door. Later this was extended, with a chimney for smoke to escape. The coopering premises, opposite the Brewery on White Hill. Coopering is a complex craft and Barry’s apprenticeship, to the sole Brewery cooper, lasted six years. He was indentured to the Worshipful Company of Brewers. He learned to make all the different sizes of casks they used, by hand. 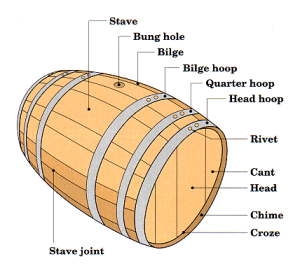 Barrels are a misnomer – casks are the generic term, with different names according to the size. Kilderkins, known as ‘kils’, with a volume of 18 gallons (82 litres), were widely used by the Brewery. Barrels held 36 gallons (164 litres). Also used to a lesser extent were firkins, 9 gallons (41 litres), and pins, which held 4½ gallons (20.5 litres). There are specific names for each of the many tools used, the different parts of the cask and each process.¹ Some of the tools used are an adze, a bick iron, different types of shaves, and a croze. The wood and the hoops were supplied by Wilson’s Cooperage of Orpington in Kent. The timber used was Russian Memel oak. This grew along the rivers flowing into the Baltic, in forests which were largely of fir. As firs grow faster than oaks the oaks grew up straight, towards the air and light, then the firs were cut down. This resulted in the oaks developing with a grain free from knots, unlike English oaks, which grow singly and not very straight. The timber was felled, the bark removed and the trunk cut into stave lengths, and then split with the grain before being transported to the ports. Memel oak was used almost exclusively for beer casks up until the Second World War. In the cooperage the staves were jointed together in such a way as to make them watertight, held together with hoops and then heated to make the staves more pliable so they could be shaped into the recognizable ‘barrel’ shape. As well as making casks from scratch, Barry’s job involved repairing damaged casks. Large ones could be cut down and these were known as ‘re-makers’. Barry was required to join the National Union of Coopers and the subscription was deducted from his wages. The hours were 7.30 until 5, with occasional Saturday mornings. Employees over 18 years old were provided with six pints of mild beer daily. There was two weeks’ paid holiday per year, which was staggered so that the Brewery never closed. There was a cricket team and an annual outing to Brighton, by charabanc. There was usually a stop in Windsor Great Park for a picnic lunch of beer, sandwiches and homemade pork pies. These were provided by Mrs Priest, whose husband owned both the garage and the Plough Inn, at the bottom of White Hill. Tea was taken at the Ship Hotel in Brighton. The outings were paid for by the Brewery. As well as the brewers and the coopers, there were several labourers employed in the bottle stores, an engineer and several draymen, 2 to each of the six or seven Brewery lorries which delivered beer to all the local pubs. At one time there were reputed to be 96 pubs in the town. In addition the Brewery supplied many other pubs in the local area including Hemel Hempstead and also as far away as High Wycombe and Milton Keynes. Originally all the beer would have been delivered by horse drays but after the First World War these were largely replaced by lorries. However, Barry remembers two old Shire horses, George and Duke, who were still used to deliver in the town. George was about 30 years old and had to be put down when the Brewery was taken over. There were also about four people employed to clean the tubs. Brewing was usually carried out three times per week, in large vats known as tubs, big enough to fill 103 barrels. Around 300 to 350 barrels left the Brewery each week. All the tubs were branded with the Chesham & Brackley name by a labourer. A Mr Gomm chauffeured the Managing Director, Mr Sprake, who always wore a suit and a bowler hat. Herbie Batchelor was Secretary and Tommy Nash was another Director. He drove a Jaguar and Barry remembers that he would collect him for the annual outings to the coast. Barry’s tools, which cost around £150, were supplied by Langleys of London and were paid for by the Brewery. When it was taken over by Taylor Walker in 1957, Barry’s tools were taken there for him². In 1959 Ind Coope bought out Taylor Walker and they were later taken over by Benskins of Watford. Barry did his National Service in the Army at the age of 21 and his job was kept open for him. At Taylor Walker and Benskins Barry was employed on piece work, which meant he was only paid for what he could make. It could take a whole day to make a kilderkin and the work was very physically demanding. At Benskins in Watford, where Barry worked for about five years, there were six or seven coopers. 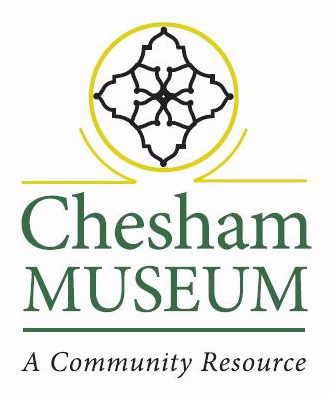 ² He still has them all to this day and has recently donated them to Chesham Museum. They will be kept in storage until they can be displayed. He has also donated his indentures.